American-Israeli finance firm OlehPay to open its services free to Lone Soldiers and Bnot Shirut in light of recent tragedies. Recent events in the news suggesting a trend of suicides among Lone Soldiers due to a lack of proper services and support has fired an uproar among the American community in Israel. 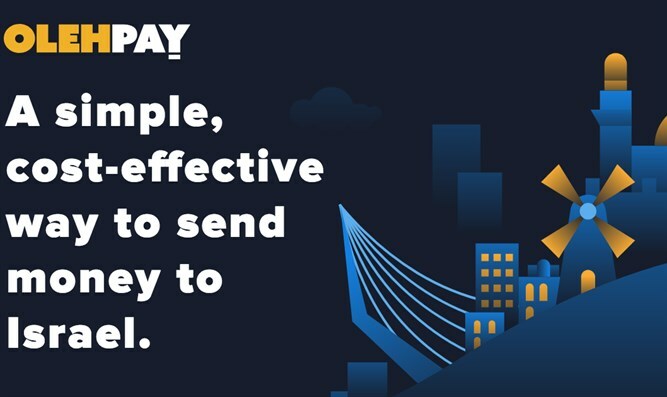 This inspired OlehPay CEO, Joseph Sokol, to open its remittance platform OlehPay, which enables users to inexpensively send money from the US to Israel, to Lone Soldiers and Bnot Shirut. These volunteers can now get completely free transfers on OlehPay while in service. “After a close friend committed suicide earlier this year, I have become acutely sensitive to the issues of mental health. I’ve learned support of any forms can go a long way” says Sokol. Sokol was not the first to act on the issue. The director of KeepOlim, an NGO providing support for new immigrants, denounced on Thursday the lack of basic support services for lone soldiers serving in the IDF without family in Israel following the death on Tuesday of the second lone soldier in the last two months. “It definitely can be a sore topic. It’s only what we understand retrospectively about these individuals who leave their home to serve in the Israeli military that helps us paint a picture of the extent of their mental well-being. Restarting your life in a foreign country may be beneficial for some, but one must ask themselves whether this move in itself is effectively running from a core problem, without addressing the problem directly.” Sokol added commenting on the trend of American Olim that move to Israel each year seeking a change of scenery. OlehPay enables users to transfer money between their US and Israeli bank without bank fees, exchange money at the official Bank of Israel USD/ILS rate, conveniently and entirely online.